Eldest son Colt Garrett is the biggest, strongest and steadiest of the Garrett brothers. Colt accepts his responsibilities, knowing his future is tied to the land. Colt has stayed centered-but when he falls in love, he falls hard. He is mesmerized by Misty Dalton, the younger sister of one of his brother's friends. Misty Dalton has held together a family plagued with problems since her mother passed away. But when the threats to her family turn deadly, Misty turns to Colt. If anybody wants to hurt Misty, they're going to have to go through the toughest of the Garrett boys first. While this is the second book in the series, I believe you could read them as standalone books. 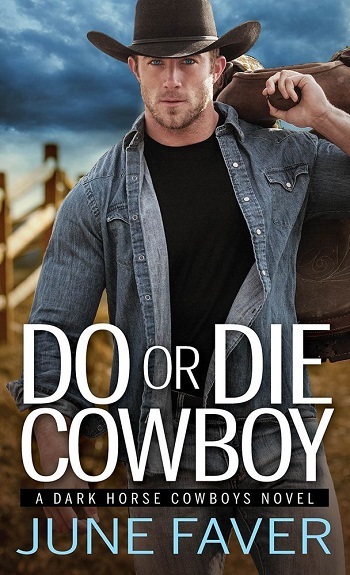 Colt is the oldest brother and doesn't really believe that he'll find someone to love. He is looked up to by his brothers and despite wanting to find his forever person, feels that the ranch takes up a lot of his time. Then you have Misty. Growing up with an alcoholic dad and an older brother who liked to run with the wrong crowd, Misty has tried her very best to keep it all away from her youngest brother. Despite starting college on a full ride, when her dad got sick, she dropped everything to come back home and take care of the family. I liked that she was willing to do whatever for her family but thought also that she was incredibly spineless at times too. In my head, if you're taking care of your grown father, bailing out your older brother, and making sure that your younger brother is attending school, you'd be able to do more than what Misty shows she can handle. It was somewhat confusing. Colt is dependable and a knight in shining armor for both Misty and her brother. He knows what he wants and he wants Misty. I think the other issue I had for this story was Colt's dad. He thought that Misty wasn't right for his son, but it was never truly portrayed that he came around. One day, it just seemed that he did and that was that. The drama and angst in this story was plentiful and I enjoyed the mystery aspect a lot. I think that if Misty's character had been stronger and more developed, this would have been a much stronger story, but overall, I did enjoy it. 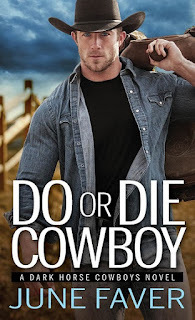 For reviews & more info, check out our Do or Die Cowboy post. 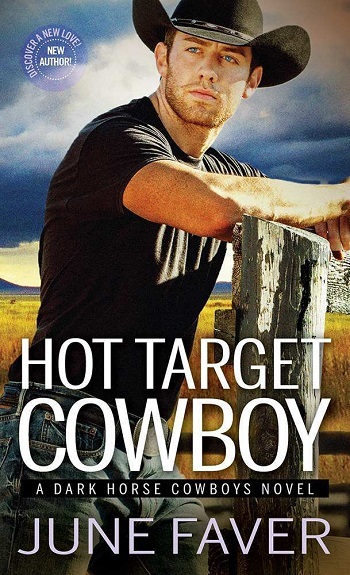 Reviewers on the Wicked Reads Review Team were provided a free copy of Hot Target Cowboy (Dark Horse Cowboys #2) by June Faver to read and review.